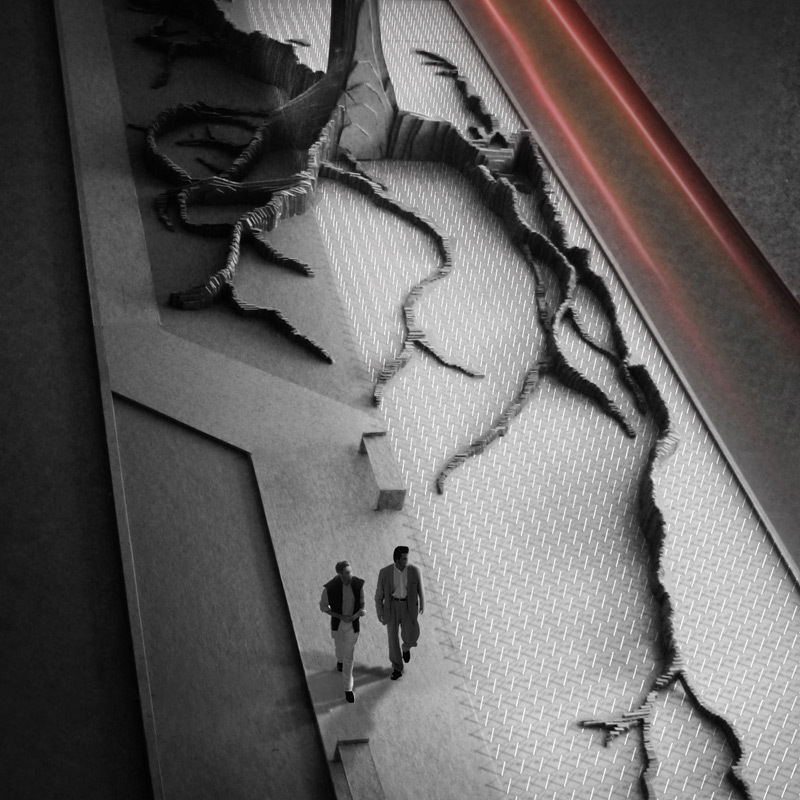 The project is a temporary memorial installation. The design considers the existing procession on Cuban Memorial Boulevard located within the Little Havana neighborhood. Walking through the Park, one experiences a series of monuments commemorating an event or an individual. 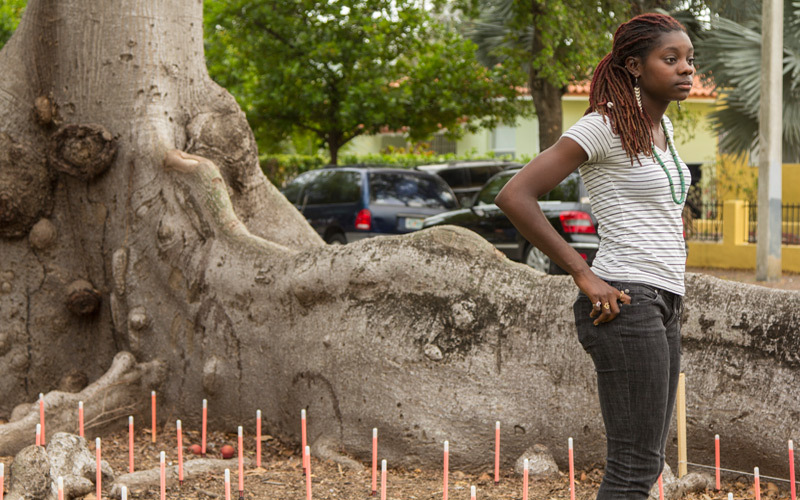 Rather than a point, which symbolizes a singular event, we suggest embedding a field of small objects such as pinwheels or solar powered lanterns around the roots of the Ceiba tree. These objects symbolize the countless souls that have been lost at sea. 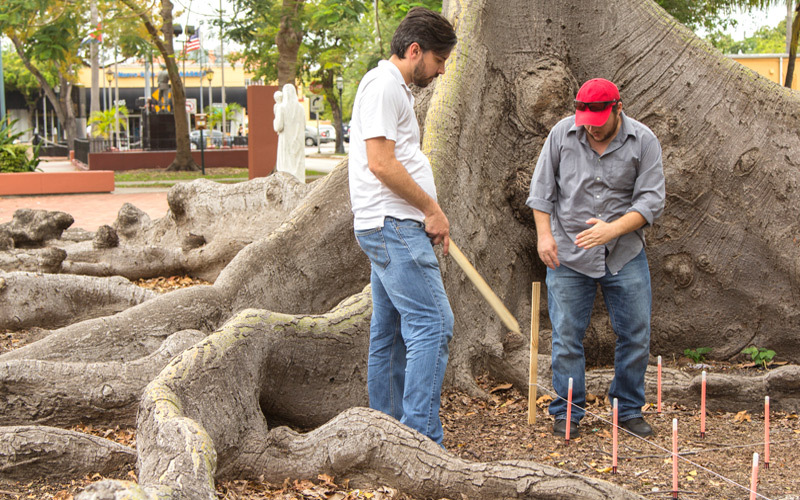 The development of the project took course through careful documentation and measurement of the existing Ceiba tree and subsequently a physical model was built through an analog process. The idea of such an endeavor is ultimately to gain a better understanding of the biological form of the root system and to emphasize its contrast to a rectangular field of symbolic objects. The memorial installation took place on March 30, 2014. People were encouraged to take the glowing objects home - on March 31 the site was back to its original state. 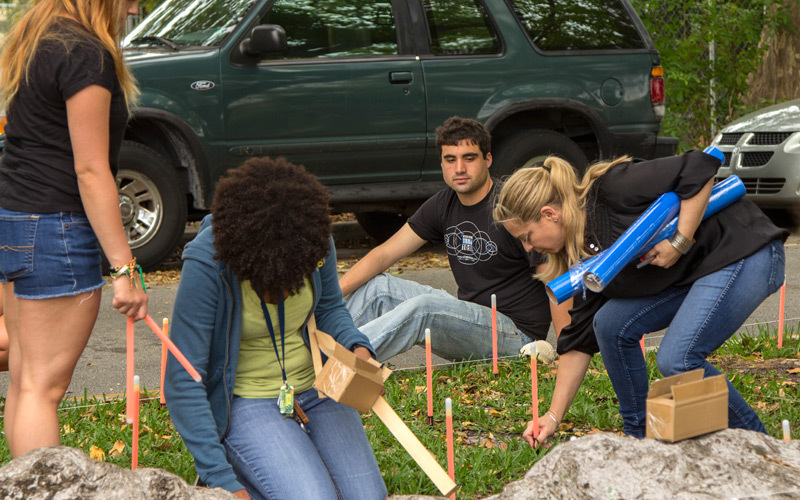 We are thankful to students from Florida International University and the University of Miami for their help.